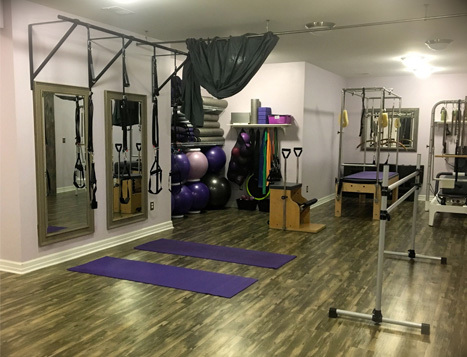 Purely Pilates is a Private Studio that is nestled on 18 acres of beautiful wooded land south of Jackson. The studio’s warm atmosphere is pleasant, relaxed and inviting. We offer ample room for individual progression with the guidance of our experienced and certified instructors. Our Mission is to be supportive and provide a non-competitive atmosphere. Purely Pilates Studio is committed to strengthening the Pilates community by sharing ideas and philosophies. Our goal is to make sure every client gets the attention he or she deserves with instructions that are highly personalised. Purely Pilates enables you to create balance and strength unique to your own bodies qualities for everyday movement. Tina has been a life saver this summer. I have yet to find anyone else in the area with her expertise, teaching ability, and encouraging spirit. I am 21 and have already struggled with my fair share of neck and back pain. I have tried so many things to get my pain under control, but pilates has by far been the most effective. Tina is extremely helpful explaining things and is willing to go the distance if students are not understanding a certain exercise or movement.